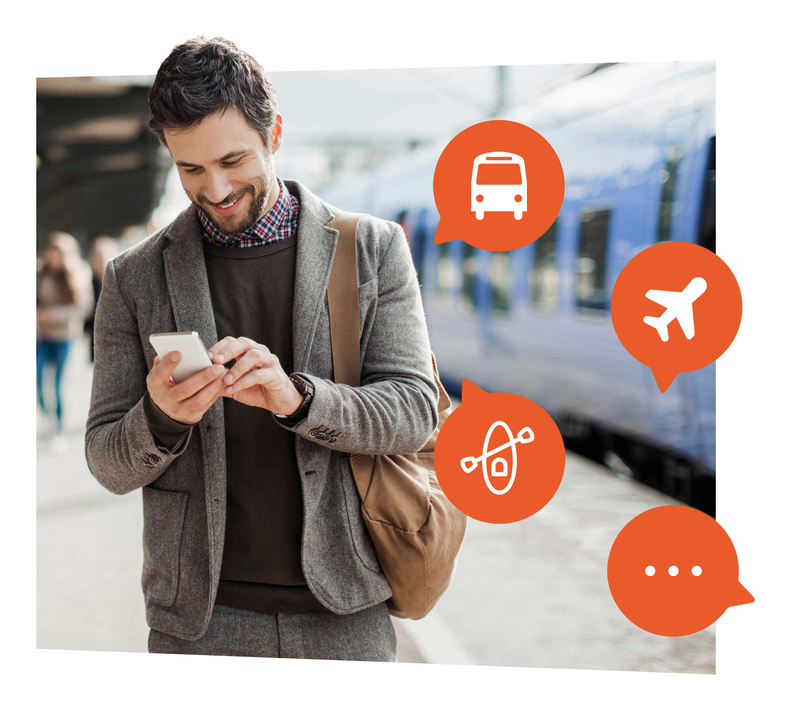 MASAI is a pan-European project to link travel information, scheduling, reservation, and ticket systems and deliver consumers a seamless door-to-door travel experience. Together, we’re defining common standards for interoperable, multimodal services; supporting apps that streamline travel planning and purchases; launching new partnerships and expanding markets; and forecasting the future for travel across Europe and beyond. MASAI Service Provider Pilots include transportation systems, accommodations, service aggregators, shared-economy services, and others. Each contributes one or more service modules that become part of the MASAI ecosystem. MASAI supports each service provider’s API journey, providing customised coaching, community-generated ideas, and a feedback network that can refine your current API or yield a brand new one. Use pre-built solutions to expand your reach. Want to aggregate services ? Why should a service provider join MASAI? MASAI offers service providers (transportation companies, accommodations, service aggregators, shared-economy services, and more) an opportunity to network, gain visibility, and boost performance. A service provider contributes one or more modules that become part of the MASAI ecosystem. By joining MASAI, service providers can ensure their service is available for inclusion in MASAI-derived apps and other tools. Is MASAI building a new commerce platform that will compete with existing providers? No. MASAI is aggregating existing specifications and building a community to develop user-driven technologies. It aims to better connect consumers with existing providers and is not a commercial venture. If I participate as a service provider, can everyone access my proprietary systems? Every participating MASAI service provider and concierge can decide whether to disclose proprietary APIs. MASAI connects companies and individuals who want to help build a seamless European travel experience, but does not facilitate commercial agreements. We provide an open ecosystem, meaning we welcome any interested party to join, contribute, and comment as they choose. Publishing your API positions your service for inclusion in MASAI-derived apps, etc., but is not required. How can I use the tools that were created for service providers in MASAI? All of the MASAI tools are accessible on the technical playground for registered users. MASAI provides an in-depth tutorial for all available tools here. How do I get help in using the MASAI tools ? If you need help to use the MASAI tools you can either ask your question to the MASAI community or you can contact the MASAI consortium. Take a tour to discover our tools and models.